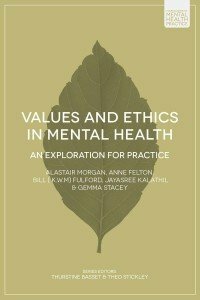 Values and Ethics in Mental Health. An Exploration for Practice by Alastair Morgan, Anne Felton, Bill (K.W.M) Fulford, Jayasree Kalathil and Gemma Stacey. 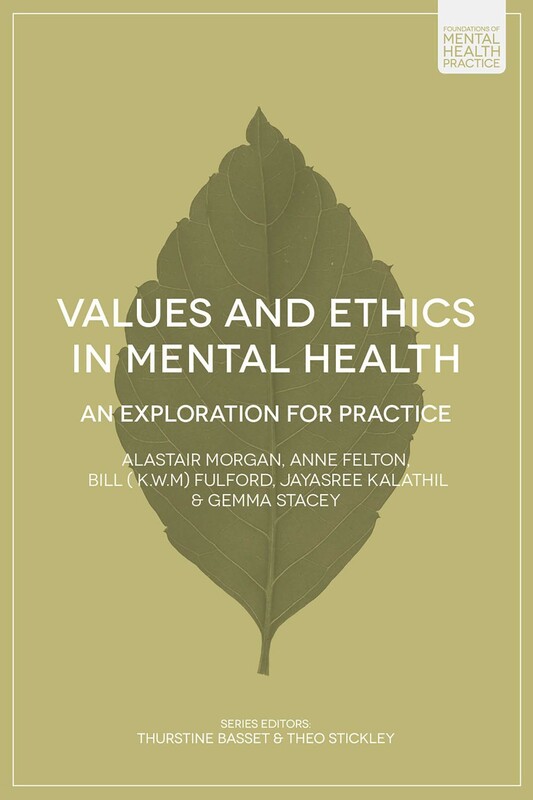 This book provides a comprehensive and exploratory text for those interested in developing a knowledge of both ethics and values-based practice in mental health. It is unique in being fully co-written by authors representing both service user and service provider perspectives Engaging with this exciting text will enable the mental health practitioner to work more co-productively with service users within a humane and just approach to care.